12 Questions to ask any prospective Home Inspector about their qualifications and inspection service. Are you a member of the International Association of Home Inspectors (InterNACHI)? 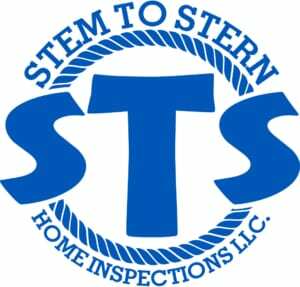 Certification ensures that the inspector meets strict guidelines and adheres to industry standards set forth by the largest and most reputable home inspection organization in the country (unlike other Inspector Associations or Societies that accept anyone who pays a membership fee). YES – All inspectors are certified by, and active members of InterNACHI. They adhere to Standards of Practice, abide by a Code of Ethics, and attend required continuing education courses. Inspectors’ experience should not be specialized. They should have a comprehensive knowledge of all areas of residential structures and components. All of our inspectors are specifically experienced in all areas of residential inspection & required to complete a minimum of 24 hours of continuing education per year. Do you and your inspectors have a current license? Yes, But that is a minimum state requirement. Anything less would be illegal. What is included in the inspections? Safety items such as means of egress, TPR valves, railings, etc. What is not included in the inspections? It is important to be realistic in your expectations of the home inspector. Most people assume that a home inspection will reveal every problem area in the home. This misunderstanding has caused many a home buyer to be upset with their home inspector. The inspections we do are not exhaustive and there is a good reason for this. If you hired someone with licenses for heating and cooling, electrical, plumbing, engineering, etc. to inspect your house, it would take about 12 hours and cost you over $1,500! It is much more practical to hire a professional inspector who has generalist knowledge of home systems, knows what to look for, and can recommend further inspection by a specialist if needed. We follow very specific guidelines as we inspect your home. These are national guidelines (InterNACHI – International Association of Certified Home Inspectors) and Florida state licensing guidelines. These guidelines are carefully written to protect you, the home and the inspector. Here are some examples: We are directed to not turn systems on if they were off at the time of the inspection (safety reasons); we are not allowed to move furniture (might harm something); not allowed to turn on water if it is off (possible flooding), and not allowed to break through a sealed attic hatch (possible damage). The downside of this practice is that by not operating a control or not seeing under the furniture, appliances, stored items etc., we might miss identifying a problem. However, put into perspective, the chances of missing something serious because of this is quite low and the guidelines as it relates to safety and not harming anything in the home is a good one. The average for a single inspector is two to three hours for a typical 2000 sq.ft. single-family home. Our inspectors are proficient, but will take as long as it takes to do a thorough inspection. Can we accompany you on the inspection? Yes, you may accompany our inspectors during the inspection and we encourage it. Our inspectors are not only friendly and knowledgeable, but want you to have all of your questions thoroughly answered. However, it is not a requirement and our inspection report is very thorough and easy to read. How long will it take to receive your inspection report, once the inspection is completed? Our report will be electronically delivered within 24 hours (usually the same evening). Physical reports can be delivered upon request with 48 hours. The Pre-Inspection Agreement delivers in writing what is to be expected of the inspection, it’s limitations, and scope. It will also give the client the opportunity to review the InterNACHI standards of practice and code of ethics which we abide. It is dependent on the type of inspection you are needing, the square footage and age of the house, insurance inspection, etc. Our fees are always competitive without cutting corners. Pricing can be found on our “Services” page, or feel free to give us a call for a quote.